I'm guessing there's a 99% chance that this kid starts at a freshman at Stony Brook. He has a chance to be the best keeper in Stony Brook history. 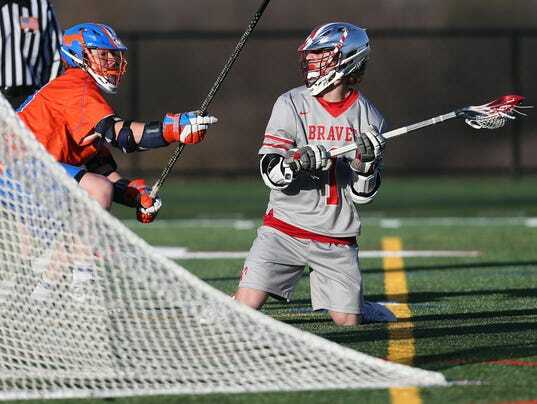 smithtown east beat melville 12-11 during the season. Actually, Melville beat Smithtown East in OT earlier in the season. Melville is rolling right now and Smithtown played an ultra conservative game in the semis. I'll take the team on a roll versus the team that has the coach thinking too much. Go Pats! Munoz is a beast. Did you happen to watch the Ward melville football suffolk championship game last year?? Munoz was amazing in that game. SB is getting a trophy Lax players from WM nest year.. My son said the school was electrified the next day after the game. Erler, Munoz and Walsh made the Newsday All-Long Island Teams. Munoz is on the First Team. looks like roros fell of the list.